Do you need a comment system and don’t know which one to choose? 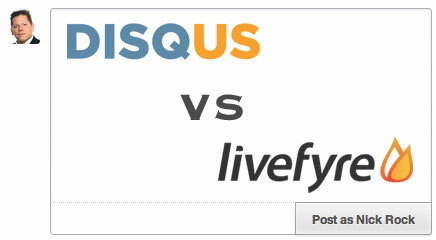 Stuck in your decision between DISQUS and Livefyre? Let me help you! This article is not about explaining the tools itself but a comparison of both. DISQUS is currently preparing and releasing their 2012 version which looks amazing. Since I have been granted to take use of the new version, I thought it would be on time to compare both comment systems. Livefyre is showing something called “Live Listening Count” which is an indicator how many visitors are currently reading your page. This is in fact a feature I really like and I’m missing on DISQUS 2012. Rate a post if you like it is a feature by DISQUS. Readers are able to give the article a “Star” (formerly known as “Like”). Livefyre isn’t offering something similar, just for comments. But the question is, is it useful? Do we need it? We have so many ways to show what we like that I think this is just a optional voting instead of a useful one. You have this feature in WordPress and it is optional in DISQUS so nothing dramatic to think or worry about. It just shows the mentions of your post below the comment section. Livefyre made it easy, with a single click you are able to follow the comment conversation. That’s the most easiest way you could have. Subscribe or unsubscribe with a single click. LinkBack is a feature offered by Livefyre which give the commenter to leave a link to his latest blog post within his comment. 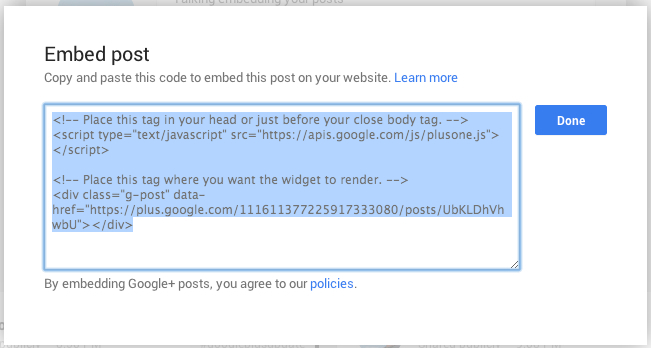 Nice feature to drive some more attention to the own blog. On one hand it’s great as it could encourage your readers to leave a comment with the benefit of placing their link on your site.On the other hand it could end up in less quality comments as some readers just want to say something to get their link posted. DISQUS isn’t currently offering this option but 2012 is still in development, maybe we will see this feature soon. I would welcome it as a no-follow option. As a personal note: LinkBack doesn’t encourage me more to leave a comment. If I want to comment on an article, I do it, with or without LinkBack. Get your facebook friends or twitter followers into the conversation if you think they fit in. Wonderful but missing on DISQUS 2012. Within DISQUS you are able to tag only persons which have left a comment, there is no chance to get your community involved from the outside of DISQUS. Why I like this feature: Instead of sharing the URL to a DM on twitter or a message on facebook, I could tag a friend of mine to get involved to this article right within my comment. Sure, there could be a downside if many commenters are leaving “@NickRockIT what do you think?” bundled with their LinkBack URL. This isn’t any quality feedback for the blogger so it could be misused. Both sites have a great and very fast acting support, they are using social media in a right way. Just wait a bit and I guess one or the other or both will leave a message to this post. I have tested this via twitter, response within minutes! Same goes for community support, if you have found any bug their Dev’s will be happy to get back to you. In terms of support, both are brilliant! Social Sharing on the other hand is quite difficult, you have to post first your comment to share it. 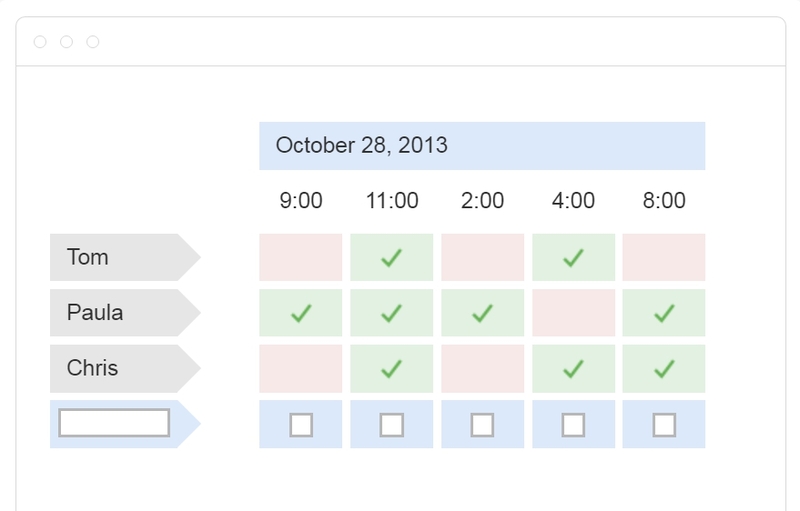 Nice integration from Livefyre, you are able to tick the checkbox of the service you want to share. To be honest, I didn’t tried to install one system in change for the other. Why? Both systems are providing the social tagging feature which I don’t think is compatible between each of them. Also I don’t know what happens if you are using Livefyre with the LinkBack feature and you are trying to migrate to DISQUS. Maybe you could end up with some unhappy commenters on your blog as you have removed all of their links. Whatever you choose, try to stick with it to avoid some unnecessary troubles. As you see, both are feature rich and are doing a great job. There isn’t any favorite I could choose so I stick to the system I’m familiar with – DISQUS. As DISQUS 2012 is still in development, let’s see what else they are coming up with. So, what are you using on your website? Do you have any favorite and why? Please let me know via your comment. Great comparison. I use Disqus, although I don’t think it’s the new one like you have. Will have to go upgrade. Might give Livefyre a go, I like the social tagging feature, that can be super useful. sorry for my late reply. DISQUS offers a sign-up form, you’ll find the link in their blog article: http://blog.disqus.com/post/22…Livefyre does really a great job with their social tagging feature, this might be a decision point for quite a couple of people and I really hope DISQUS is coming up with a similar feature once 2012 is finally polished. Thanks for this writeup @NickRock:disqus. The new Disqus 2012 isn’t launched yet, and we know that we have a ways to go. But with the new architecture, you can be sure that we’re going to be pushing out some innovative stuff in the coming *weeks*. We’re getting ready to talk about some new, completely new features that will change how people use Disqus. Thanks for supporting what we’re doing today. Hi @danielha:disqus , I know you are working hard on Disqus 2012 and I can’t wait too see the final product. I’m glad that I’m able to use already the beta version, so every addition is very welcome. Awesome. We have a new release coming out today. Keep an eye on blog.disqus.com. Hey Daniel – How do you even know when posts like this are made? Do you surf the net? Search your Disqus database? I don’t know. I’ll wait for Daniel to reply. Surfing the web, keeping an eye open. How? Google? You search for keywords? Google Alerts is helpful here. How do you use it? 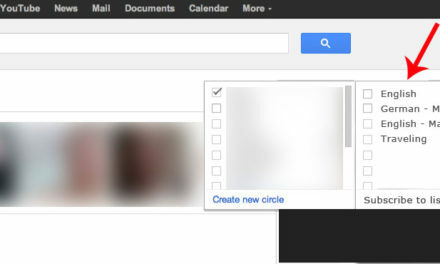 I don’t use Google that much. I mainly only use it for Blogging. I use Bing for just about everything else. Bing meets my search needs well. I use SkyDrive and Office Web Apps instead of Google Docs, although I can use GDocs if I want. So you see when I post about Disqus on me site as well? And how come you don’t visit my website often, despite CCing you when I am talking about Disqus. Besides, I need more people to come to my site. Maybe you can list my site on that blog post you made yesterday. I use Engagio to discover posts/articles where my friends are commenting. That’s how I found out about this one via the morning alert, because I follow Daniel. You never comment on my Disqus posts. I’m not sure. Sometimes I just stumble across things, but otherwise I rely on Google Alerts. We appreciate the feedback and feel free to send any questions our way! Hi @jennalanger:disqus , thanks for your response! Yeah, the SocialSync feature is pretty awesome, well done! Don’t loose Disqus though, they currently have way more features than Livefyre. Which one are you using or going to choose? One thing that seems to be a problem with Disqus which also doesn’t compel me to install on my blog is that Disqus doesn’t let you export all your comments back to the wordpress system, thats what i’ve read so far. Have disqus people added a feature that can be useful in case we have to get rid of disqus? We’re a partner to Livefyre and Disqus (Engagio) and both are fulfilling a need in the marketplace. There is 2 ways to look at this- 1) from a user’s perspective, 2) from a blog/site owner. The above features are comprehensive but looking at it from the user’s perspective mostly. You are absolutely right, the perspective is more focused to the user experience. I think, as a site owner, we should try to find the best tool for our visitor instead of our needs. Yup, the site owner will look at it in a slightly different perspective than the end-user. @NickRock:disqus You can socially tag people. Right now you can use @mentions for Disqus users. 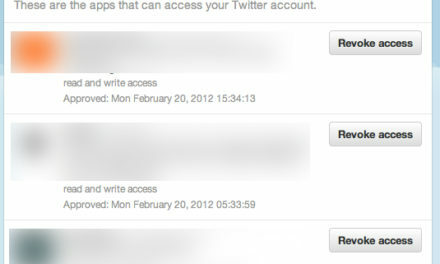 You can also tag twitter users, but that feature is not in Disqus 2012 yet. In the classic version, you can tag people directly from twitter. Yep, you are right, tagging with Disqus members is working but Twitter or even Facebook tagging is yet not working with the current version compared here. Hopefully we will see something similar to Livefyre’s Socialsync as well. This would make it even harder to choose – but a great competition. Since Disqus 2012 is still in beta, it is still having core features added, such as image uploading. Part of it is already implemented – If you have a link to a image file it will automatically show a thumbnail below the comment. I love this feature for a quick share, Livefyre (@jennalanger:disqus ) is using this feature as well. Thanks for the explanation, Nick. If I have to be honest, I do not like neither of these two commenting system. But if I have to choose, I prefer Disqus. go on buddy with disqus. Rich information, I am using disqus as well. Great free service. 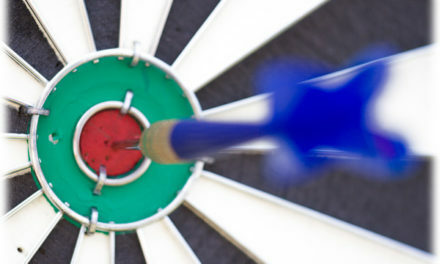 For my particular need I am looking for single sign on (from my site) and the ability for the commenter to post anonymously (but authenticated) any thoughts on the best way to achieve those goals? I’m sorry for the late response. Currently I’m quite unsure about anonymously posting but I think the option posting as guest should be good to go. I was in dilemma. Thanks for the post. Absolutely loved it. I’m glad it was of help for you. I’m going to post some updates about this soon. So, the answer is that you are using Disqus. Fox nation went to livefyre. Compared to disqus, they fail miserably. A lot of the major sites are switching to Livefyre, but Livefyre as a platform is not ready I don’t believe. Their latest product is still very buggy. It also doesn’t offer all of the sort options that Disqus has. People on Engadget hated the switch, but it looks like Engadget is going to stick with it. Time mag online just went to Livefyre. They used to have Disqus. I was curious why they switched. That’s why I was googling and trying to figure out if there maybe some benefits they could derive from switching and ended up here on this board. The feeling I got after reading the review here is that there isn’t much. I think the rating system offered by Disqus for user comments is a popular one as it can help to gauge the general sentiments in the population at large. And a lot of posters post because they get the accolades and recognitions from other readers that way. But apparently the immediate effect of Time’s switching to Lifefyre is that they get 0 post on their comment board. Ok, maybe not 0, but far, far less than before. Who knows–maybe that’s the way Time wants. You are right, there isn’t a big difference between both of them. Rating is a great option but it wouldn’t be a deal breaker in my mind. You have found an interesting example I have to take a look on. Would be interesting to figure out why they are receiving far less comments than before. To me it’s just that Livefyre is not as popular. I believe Disqus was out there earlier and got the first adopters. It’s hard to switch once you are used to one, esp when the other doesn’t offer much differentiation. I have a Livefyre account. But I haven’t used it much, even now when Time has switched. I just stopped commenting there. The idea of Disqus/Lifefyre is that with a single logon and you can comment anywhere. To keep multiple accounts simply defeats that purpose. BTW. I was just at Time’s website a few hours a ago. Apparently their Lifefyre server has crashed and I can’t access the comment sections, even for viewing the existing comments. So it doesn’t seem to be very stable. You wonder why Time has switched. Mashable also just switched to livefyre with the launch of their new site. would love to know why. real-time? Required to reload the page – at least with the free version. to FB or T or not. basic SSO, that cost some 100 USD/month with DISQUS. Thanks for your hints! You are in fact true about customization and RealTime. I have seen this as well and would be a great benefit for DISQUS to enhance their RealTime commenting feature. About localization or translation: Both products fail in this category for now. I have a couple of websites in different language but I’m not able to use one or the other. I had to stick to the old DISQUS version as translation was given to this one. Both are limiting their reach without offering different language options. Shouldn’t be that a problem to translate it. I really hope they can manage it. Currently I’m using DISQUS here but if Livefyre would offer a translation in a language I need, I would go for it for another website. Disqus is pretty cool. I hate the fact that they removed the custom appearance tab though. All those features are great but what I am really curious about is which is lighter and faster. does anyone have the data to show which one is faster. load times? I think that ‘Disqus’ is a powerful comments platform that allows website owners to add an integrated discussion system to their website incredibly easily. It would be cool if DISQUS allowed guests to leave their website URLs. Good points. Think i am liking Disqus more at this stage. looks a bit cleaner. What plugin are you using for the author? I’m surprised to find out so many websites using Livefyre, even though whenever I look, people prefer Disqus. It would be nice to have some real numbers to crunch to see how this market develops.